Can a priest, his brother, and the brother's girlfriend solve a murder case and see justice done—or will they be the murderer's latest victim? 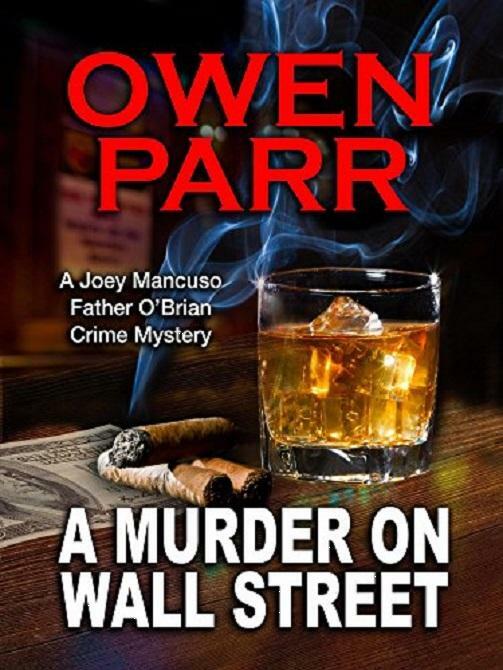 A Murder on Wall Street takes us inside the world of Captain O'Brian's Irish Pub and Cigar Bar in Manhattan, a legendary hotspot in the Financial District. Investigating the death are pub owners Joey Mancuso, fired from the NYPD for his unorthodox methods, and his brother Father Dominic, who isn't your typical priest. Also investigating is Marcy Martinez, a Cuban bombshell and FBI agent who's Joey's girlfriend. When a customer kills himself after celebrating the night before, the three know something's wrong. Turns out, the customer's death coincides with people losing money, and lots of it—and some of those people are very, very dangerous. The apparent suicide of a hedge fund executive and the hit and run accident of his assistant leads Mancuso, Father O'Brian, and FBI Special Agent Martinez into the underworld of Wall Street. Money laundering, insider trading, and a Ponzi scheme are but a few of the crimes they uncovered, as they try and piece together this crime-ridden puzzle. Joey Mancuso spent sixteen years in the NYPD earning his First Grade Detective shield and becoming one of the most successful homicide detectives. His last case, the murder of a homeless person in an alley behind the famed 21 Club, went unsolved. Political pressure undermined the case, as Joey's efforts led him to a congressional candidate and a Wall Street major donor with political juice. His efforts to continue the investigation in spite of the pushback caused his forced retirement from the NYPD. The Internal Affairs Division has sealed his file warning him to cease or else. Now a half-owner, with his half-brother, Catholic priest, Father Mancuso, of an Irish pub, he continues his quest to solve crimes. Both are private investigators and together with Joey's girlfriend, FBI agent Marcy, set out to bring to justice perpetrators of crimes, law enforcement is ignoring. 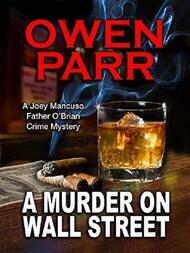 Fast-paced, suspenseful and thrilling, A Murder on Wall Street is one case you'll want to solve yourself. But the ending is unexpected, as the puzzle finally comes together in this page-turner you won't want to put down.